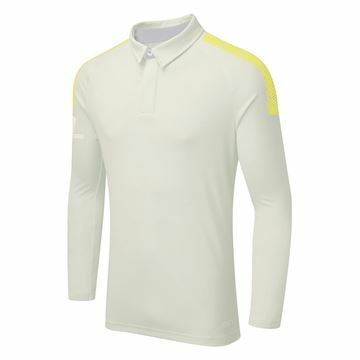 Performance Pro shirt with Polyester/Lycra mesh on back and underarm for ease of movement during play, the shirt having being developed for the professional game. 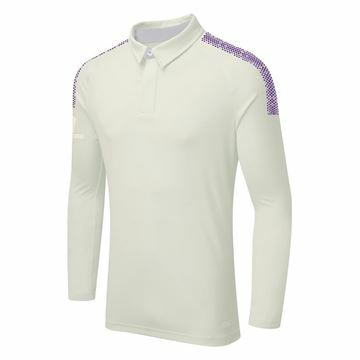 Fabric is lightweight, wicking and breathable. 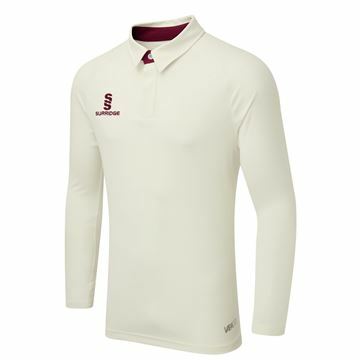 Three Surridge buttons on contrast placket. 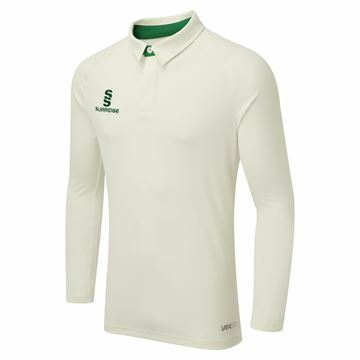 Embroidered Surridge logo on chest.